Susan Karr, MS, is an Instructor in the Biology Department of Carson-Newman College in Jefferson City, Tennessee, and has been teaching for over 15 years. She has served on campus and community environmental sustainability groups and helps produce an annual “State of the Environment” report on the environmental health of her county. In addition to teaching non-majors courses in environmental science and human biology, she teaches an upper-level course in animal behavior where she and her students train dogs from the local animal shelter in a program that improves the animals’ chances of adoption. 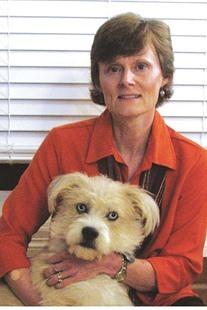 She received degrees in Animal Behavior and Forestry from the University of Georgia. 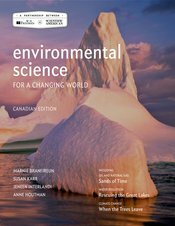 Marnie Branfireun is a Lecturer in the Faculty of Environment at Simon Fraser University in British Columbia, Canada. She teaches in both the Undergraduate Environmental Science and MSc in Ecological Restoration Programs. Her BSc (University of Manitoba) in Ecology focused on aquatic ecology, and her MSc (McGill University) was on mercury cycling and plant decomposition in boreal peatlands. She has monitored stream and lake ecosystems using benthic macroinvertebrates for Canada’s Department of Fisheries and Oceans, conducted research at the Experimental Lakes Area in Ontario, worked as a Project Ecologist for the Toronto and Region Conservation Authority and has taught post-secondary environmental science at the University of Toronto and the University of Western Ontario. As an ecologist and physical geographer, she has been engaged in environmental science education, conservation, restoration, and monitoring for over 25 years.